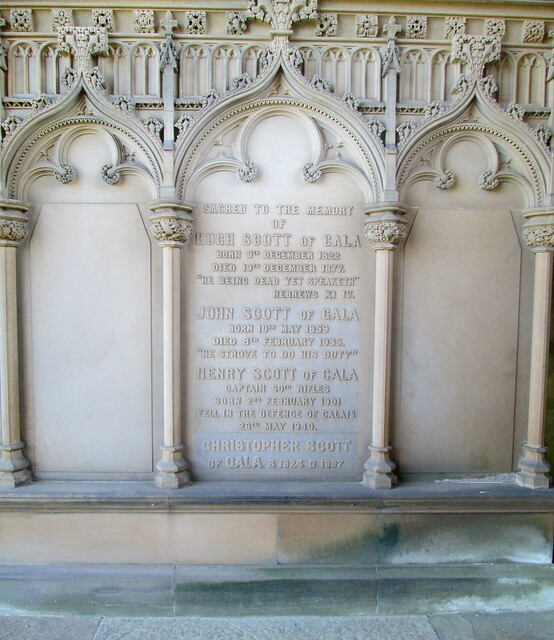 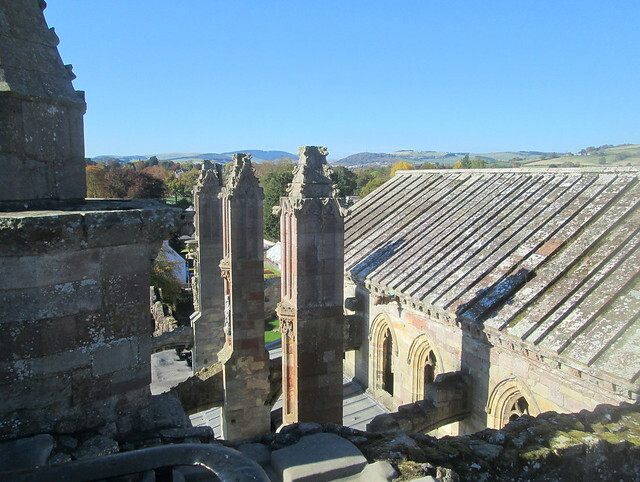 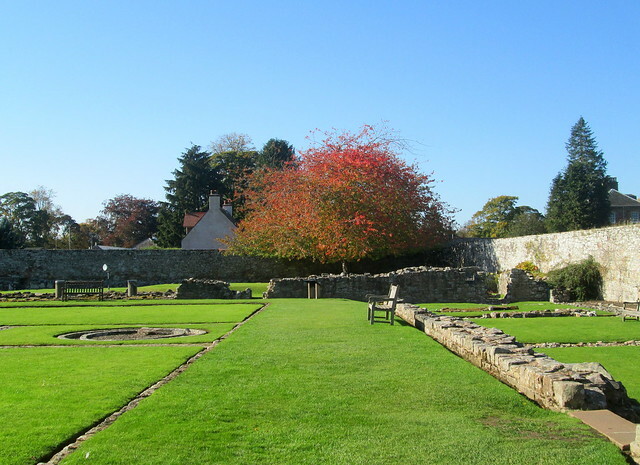 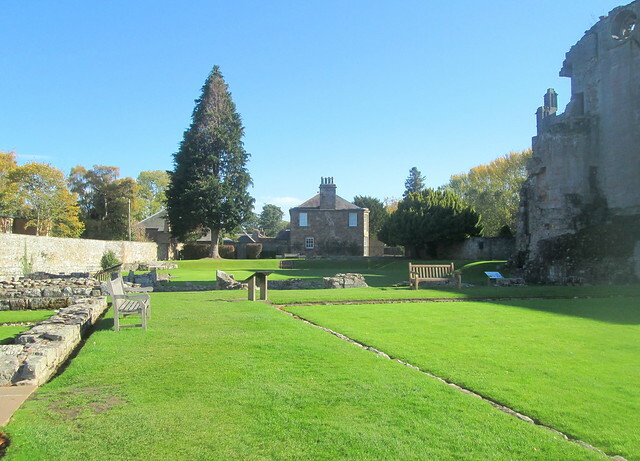 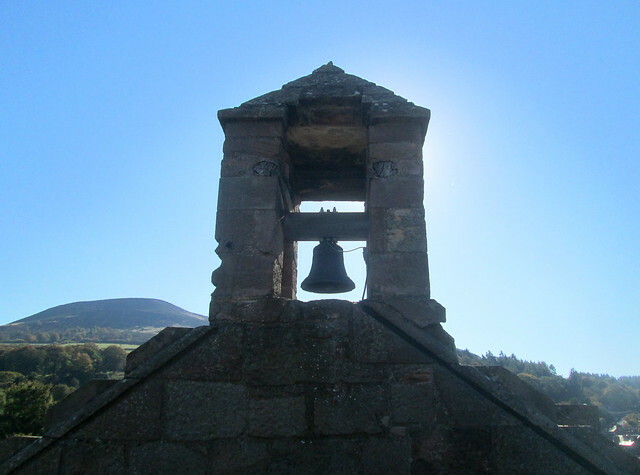 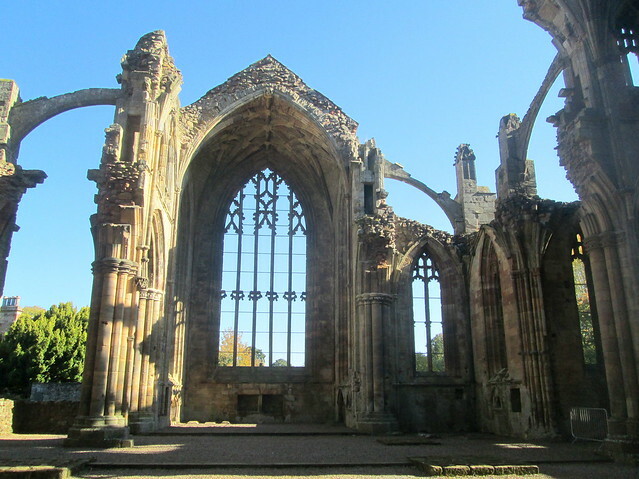 On the same day that we visited Abbotsford we managed to squeeze in a visit to the nearby town of Melrose, mainly to have a look at Melrose Abbey. 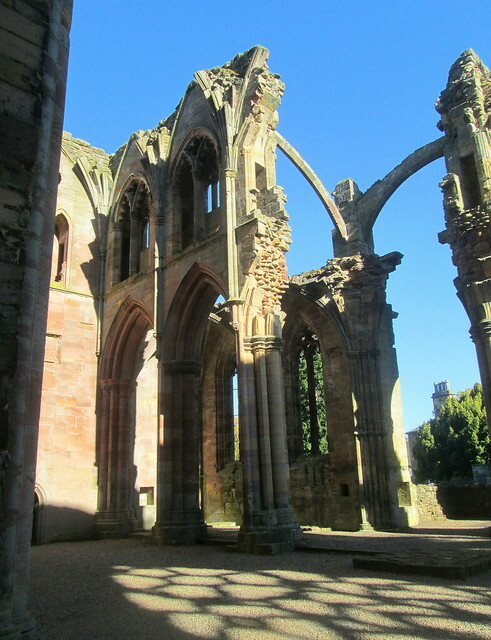 As you can see – it’s another ruin. 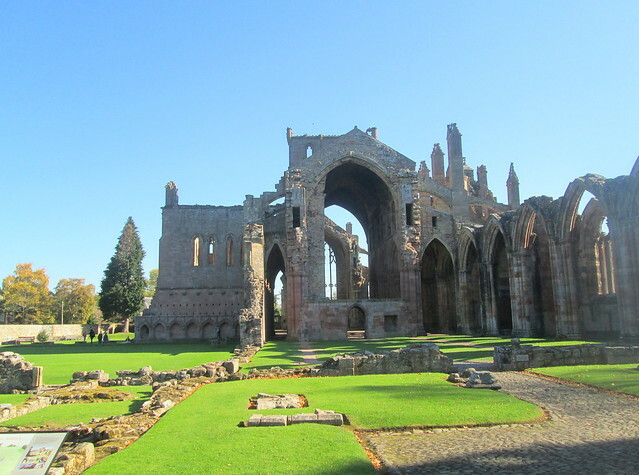 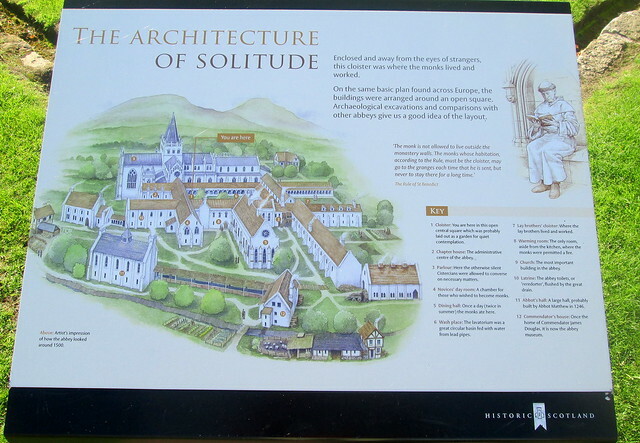 It was King David I who in 1136 asked Cistercian monks to found an abbey in Melrose. 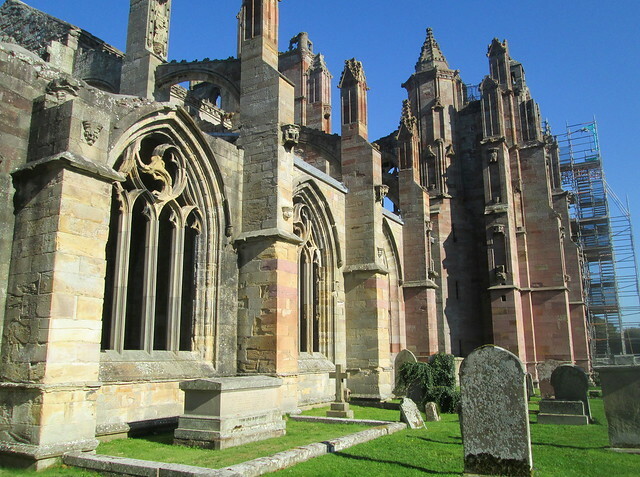 Between Jack and myself we took loads of photos of the abbey and its surroundings. 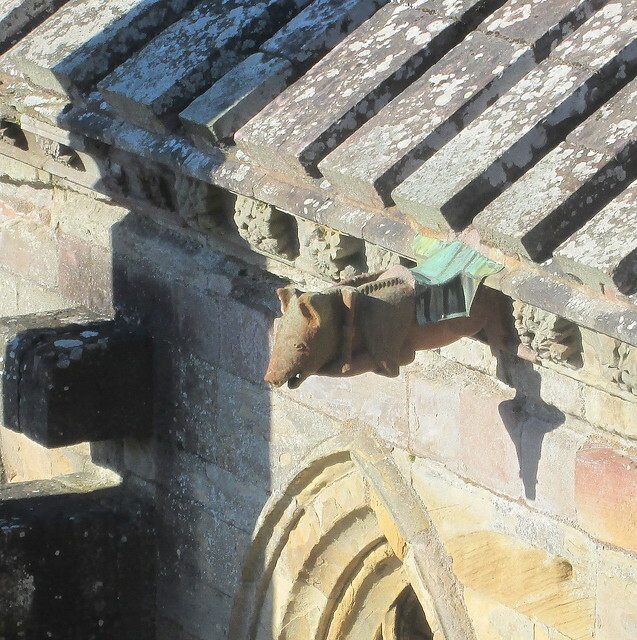 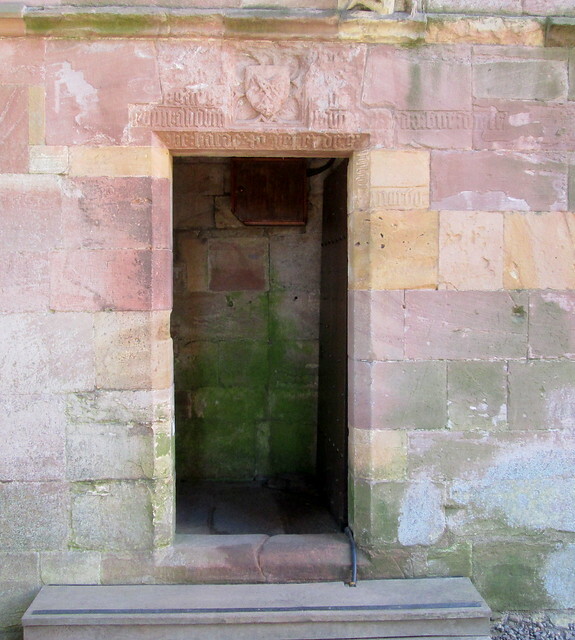 One of the information boards told us to look out for the carving of a pig playing the bagpipes, and we found it, we had to hike up 72 steep and narrow steps of a spiral staircase to reach the very top of the abbey, and from there you can look down on the pig. 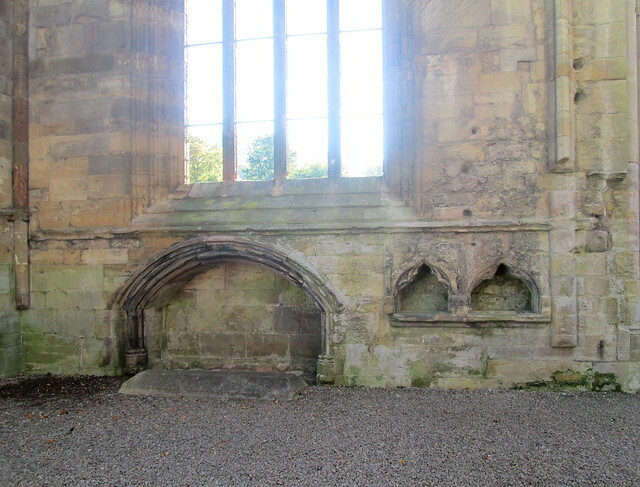 Whoever designed the place had a sense of humour anyway. 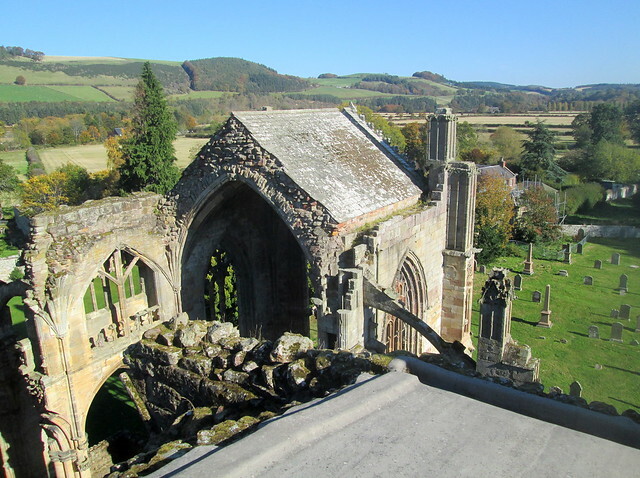 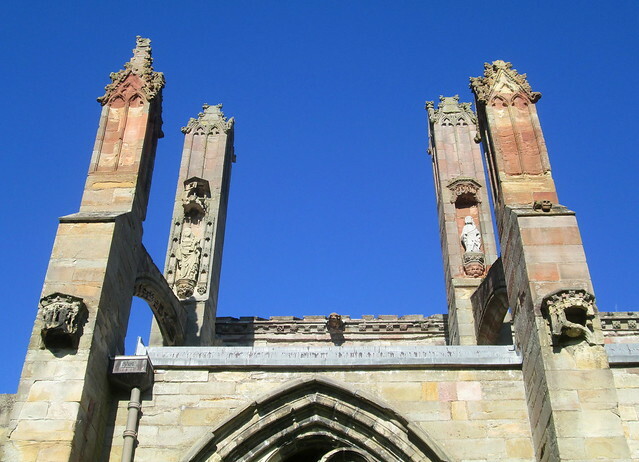 As this abbey is situated in the Scottish Borders it got more than its fair share of attention from English invaders, including Edward II’s army and later Richard II’s army. 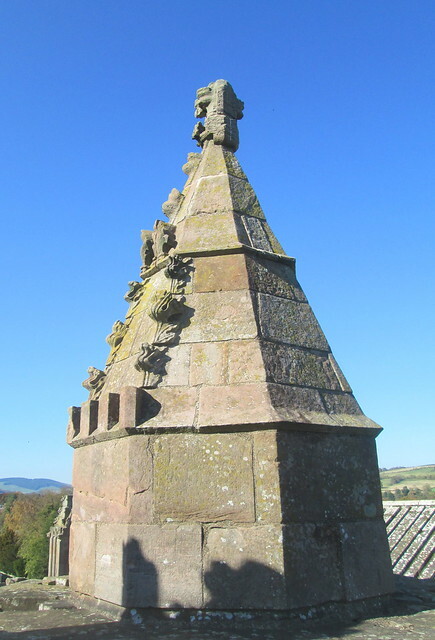 Then Henry VIII had a go at it; given all that – it’s surprising there’s anything left of it at all!